Neon signs have been around for a long time and it’s no surprising. Neon signs are hip and retro at the same time. They are visually appealing, eco-friendly, and most importantly, they stand out. Neon signage however have been seeing more frequent use in recent years. On the business side of things, having a neon sign in front or inside your business or on top of your building can do wonders. It gives the place a certain feel that appeals to the ‘70s, ‘80s, and ‘90s nostalgia that helps you get noticed and leave a lasting impression. Neon signs can also give off a modern look when used correctly. On the more personalized uses of neon signs, they can also be used for a variety of effects that can help spice up any space they’re added to. Obsessed with a movie? Forget posters – have a neon sign made to personalize your shop! They also make great conversation pieces, and conversation pieces are usually the ones that get posted online and are noticed. To commemorate the presence and rich history of the best neon signs in Toronto, here are some of the most iconic. The idea of Hart Massey resulted in the iconic building that still stands to this day. Massey Hall was completed in 1894 and held its first concert that same year. It’s also known for its famous roster of performers throughout its rich history. The Massey Hall neon sign is simple but iconic, and the facade has become a staple sight in Toronto. Massey Hall is now declared a Toronto heritage site, and part of its history – very rightfully so. Fran’s Restaurant became a local favorite for its welcoming atmosphere, excellent comfort food, and the delicious Banquet Burgers. The neon sign that graces the outside of the restaurant became synonymous with coziness and good food. Established in the 1940s by Francis Deck, this restaurant comes from modern roots – from a 10-chair restaurant to the successful and beloved family owned restaurant today. The Royal York hotel has been around since the 1940s. The signage has been changed over the years, and is one of the reasons why this hotel is so well known. The flashing neon signage sits on top of the hotel, and has been a colorful and iconic part of the downtown Toronto view. The “Fairmont” neon sign is the most recent one installed on the roof of the hotel, named for the company that operates the place. The Royal York is part of Toronto’s rich and interesting history, and is one of the more prominent downtown hotels. 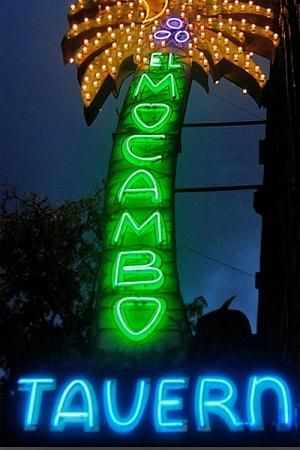 El Mocambo was also one of the centers of the 90s underground music scene. Unfortunately, El Mocambo had to close in 2014. However, rumors of its revival abound. We just hope the plans push through! Founded by the late Jack Newman, the Imperial Pub has been with the Newman family for nearly 70 years. This pub is famous among locals for its old Toronto charm and its wide selection of jazz music. In fact, the Newman family has been able to preserve some of the old jazz jukeboxes from the pub’s earlier days. The signage, a simple red neon sign that spells out the pub’s name, has become very iconic and the Imperial Pub is well-loved by Toronto locals. As proof, when Toronto was being rapidly urbanized, there was an attempt by another company to buy out the land where the pub still stands. Luckily, locals and regular patrons rallied behind the Newman family and the attempt was thwarted. Hopefully, this beloved local bar sees more years to come! Established in 2015 by Chef Susur Lee, Fring’s has become famous for having Toronto local Drake as a regular patron. Fring’s boasts an excellent menu, as well as an intimate ambiance that effectively draws in locals. What made Fring’s all the more famous is the now-iconic 6 on a wave neon sign located inside the place. This neon sign has been posted, reposted, and Instagrammed thousands of times, and with good reason. The neon sign is cool and unique, and truly visually pleasing. This really adds to the charm and ambiance of the place. Escobar is a secret bar, and entry into the place requires the correct password that changes every day. Good luck hunting for it! The interior, though, if you do manage to get it, is a hip and cozy space that serves excellent food and drinks. Established in 2013, Escobar became famous on social media because of its neon sign that says “Pablo Loves You.” This neon sign is still regularly being posted on various social media platforms – with the photos showing the vintage, classy, hip, and cozy feel of the place. Make sure you get your neon signs made by trusted professionals! See for yourselves the great things that a well-made neon sign can do for your business, or for your personal user. Who knows, maybe it’s that sign that will make your place iconic!